Ami's silver bracelet transforms into the dark jewelry star bracelet when Kunzite has control over her. 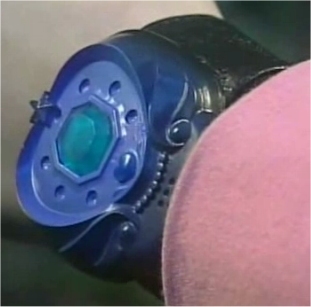 This distorted jewelry star bracelet allows Ami to transform into Dark Sailor Mercury. 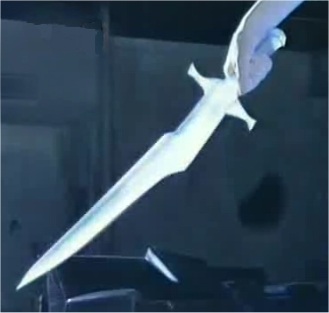 Dark Sailor Mercury forms this sword out of an icicle. She uses it to attack the senshi with. It is actually so strong, it broke the Moon Stick into pieces.